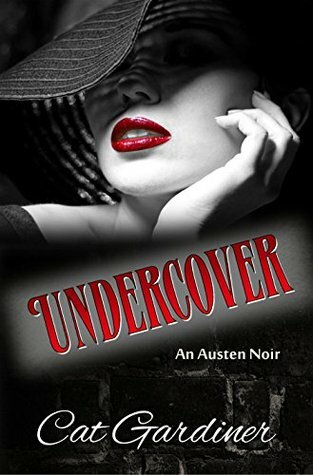 Undercover – An Austen Noir by Cat Gardiner, a noir novel inspired by Jane Austen’s characters from Pride & Prejudice set in the 1950s, is a fun ride. Elizabeth (Eli) Bennet has left her father’s garage business after being duped by George Wickham, a Navy man gone AWOL. She’s carved out her own life in Hell’s Kitchen as a private investigator, hacking her own career path in a man’s world among gangsters, commies, and police bravado. Her home life was complicated, and Gardiner has created a more than down-on-their-luck Bennet family, plagued by drink and poor decisions. Despite her rough beginnings, she’s smart, savvy, and willing to make the tough choices for her clients, even though she has a personal case of her own to find the elusive Slick Wick. On her personal case, she comes across the smoldering Fitzwilliam Darcy at the Kit Kat Club and the sparks fly even though they just ogle one another. Her assets on display, he cannot take his eyes off of her, especially after he sees how savvy she is in getting what she wants. Stumbling upon another machination by Slick Wick, she finds herself coming to the rescue of the man with the smolder that could make her do things she promised she wouldn’t do again. Gardiner knows her Austen, and she modifies the famous lines from the novel in inventive and surprising ways, but in ways that keeps with her own plot and characterization. The heat between Darcy and Eli will sizzle before readers’ eyes, and these characters are hot to trot. Gardiner’s novel is fun, dark, and full of mystery, but it also provides a glimpse into what Darcy and Elizabeth’s romance would have been like in more modern days, especially after women gained a modicum of independence following WWII and were eager to remain in the workforce. Cat Gardiner loves romance and happy endings, history, comedy and Jane Austen. A member of the esteemed National League of American Pen Women, Romance Writers of America and her local chapter Tampa Area Romance Authors (TARA,) she enjoys writing across the modern spectrum of “Pride and Prejudice” inspired novels. Winner of Austenesque Reviews Favorite Modern Adaptation for 2014, the comedic, Chick-Lit “Lucky 13” was released in October 2014. 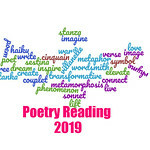 The romantic adventure “Denial of Conscience,” named Favorite “Pride and Prejudice” Modern for 2015 by Margie Must Reads and More Agreeably Engaged has set the sub-genre on fire since June of this year. Her latest release in December 2015, another romantic comedy titled “Villa Fortuna” has been voted Just Jane 1813’s Favorite Modern JAFF for 2015. Her greatest love, however, is writing 20th Century Historical Fiction, WWII Romance. Her debut novel, “A Moment Forever” will release in Late Spring 2016 with “The Song is You” following in the winter. Married 23 years to her best friend, they are the proud parents of the smartest honor student in the world – their orange tabby, Ollie. Although they live in Florida, they will always be proud native New Yorkers. Oh this sounds fantastic! Can’t wait to read it! This sounds like a “hot” version of Austen’s work. I enjoyed your review, Serena. Thank you for this incredible review, Serena! *Doing the Happy Dance* I’m delighted that you enjoy UC so much!